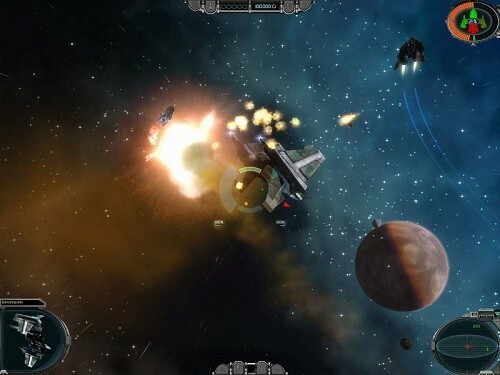 DarkStar One focuses on space trading and combat. 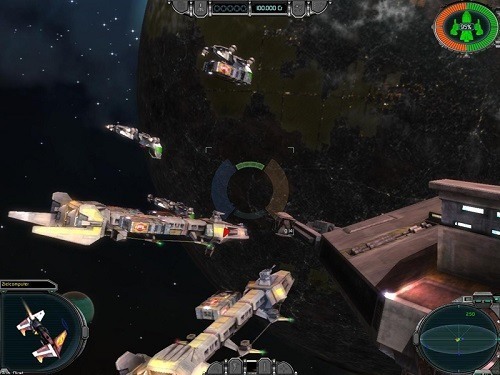 It launched in 2006 for Windows with an improved edition (Darkstar One: Broken Alliance) released two years later for the Xbox 360 platform. The universe of DarkStar One features half a dozen other races that you’ll get to interact with or fight against depending on your actions. This universe is a fragile place with a great war ending only a few decades before you enter the game. The main storyline though focuses around Kayron Jarvis who has just learned about the death of his father due to sabotage. The powerful DarkStar One ship that your father built now passes to you which gives you an edge over other space pilots thanks to the ancient technology behind it. From here the story becomes one of discovery and revenge as you attempt to piece together information and find out the truth of your father’s death. This puts you in a mercenary like role as you explore hundreds of star systems that belong to two dozen sectors. By helping out the inhabitants that you encounter along the way and befriending them you’ll slowly earn their trust and the information about your father that they hold. With multiple paths before you players can easily place their focus in the game elements that they like the most be it trading, piracy or bounty hunting. Taking any one of these paths can reveal the information you need or you can combine them all, the choice is yours in DarkStar One. There are also lots of story elements going on outside of your hunt for information that make the game world feel realistic and significantly increases the available game time with side quests and activities. Of course much of your time will be spent upgrading your ship with special keys, artefacts or general upgrades to weapons, defences and warp drive. DarkStar One ticks a lot of the right boxes for this genre but just ends up a little too generic to shine above other options. One of the few space simulators available on console. Upgrade your ship in all sorts of ways as you advance. A good storyline supports strong gameplay. Good range of difficulty levels so everyone has a level for them. Freedom in how you approach the game.